A video had gone viral on the social media last month in which Sara along with Kartik was seen enjoying a bike ride in the streets of Delhi. 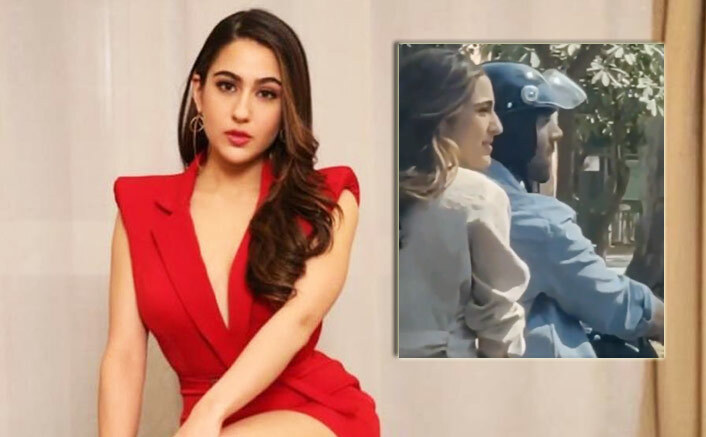 Sara Ali Khan along with her crush and co-star Kartik Aaryan is busy shooting for Love Aaj Kal 2. The duo has already completed the Delhi schedule and we all have seen some photos and videos from the sets. A video had gone viral on the social media last month in which Sara along with Kartik was seen enjoying a bike ride in the streets of Delhi. The beautiful actress was heavily trolled on social media for not wearing a helmet. But the things have got even more stressful for her now. A complaint has been filed against Sara for not wearing a helmet and Delhi Police has started looking into the matter. What more? Reportedly, the Police has also sent a notice to Sara stating that the department can take action against her. Well, we hope Sara finds her way out of the trouble soon. Love Aaj Kal 2 is the sequel to 2009 romcom Love Aaj Kal which had Saif Ali Khan and Deepika Padukone in lead. It will be interesting to see Saif’s daughter Sara starring in the sequel of his film which is being made by same director Imtiaz Ali. It will be the third Bollywood film of Sara after last year releases Kedarnath and Simmba. Sara with her acting talent and infectious charm has already created a huge fan following among youth. Now she has also been roped in for David Dhawan’s Coolie No 1 remake which will have Varun Dhawan reprising the role of Govinda. John Abraham To Work With #MeToo Accused Sajid Khan?